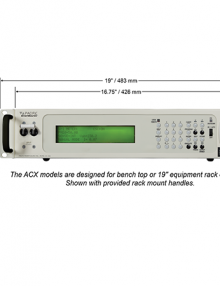 3120ASX Performance AC Power Sources ACA TMetrix Inc.
1 phase / 3 phase Selectable Output from front panel or bus command, 15 to 1,200 Hz. Operation – 5,000 Hz small signal bandwidth, Precision Voltage Programming – 0.05% with Continuous Self-Calibration (CSC) engaged, True-RMS metering of volts, amps, and power, GPIB (IEEE-488.2) or RS-232 Interface, Waveform Library – Arbitrary Waveform Generator, 99 stored programs with associated transients for static and dynamic test applications, UPC Studio Software Suite, UPC Interactive LabVIEWTM Libraries. SKU: 3120ASX. Categories: AC Power Supply, Pacific Power Source Inc..
As a member of Pacific’s ASX-Series family of high performance AC Power Sources, the 3120ASX offers the low acoustic noise, ease of installation, and maximum power density found in all of Pacific’s high frequency, pulse width modulated AC Power Sources. Control and operational features provide a high degree of versatility and ease for applications ranging from simple, manually controlled frequency conversion to harmonic testing and sophisticated bus programmable transient simulation. 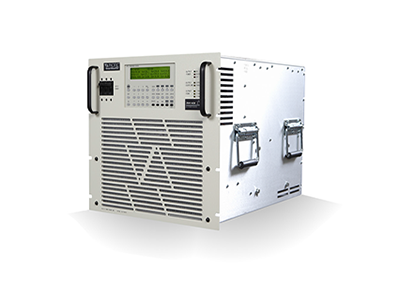 The 3120-ASX is equipped with a powerful micro-controller with the ability to operate as a fully integrated test system. 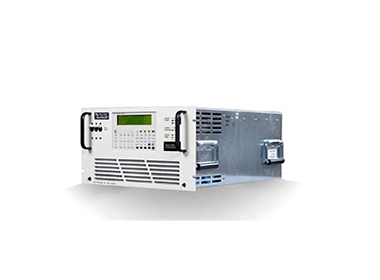 It supplies a variety of power conditions and transients to the device under test while metering and analyzing all output performance parameters. 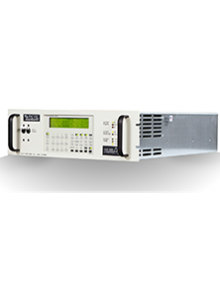 The 3120-ASX is an excellent source of stable AC Voltage over the frequency range of 15 to 1,200 Hz. The output frequency is quartz-crystal stabilized. Output voltages up to 600V are available. With the ability to provide single, two, and three-phase outputs, the 3120ASX is an ideal choice to convert three-phase line voltage into precisely controlled split (twophase) or single-phase output power. Three controller models are available offering both manual and programmable control. All controllers provide manual operation from the front panel. 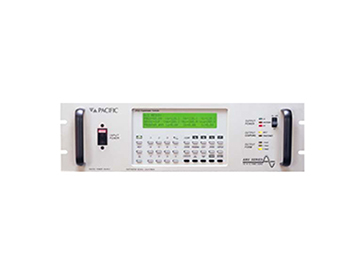 Programmable Controllers may be operated from the front panel or from a remote interface via RS 232 or GPIB. An early pioneer in the development solid-state power conversion equipment, Pacific Power Source continues to develop, manufacture, and market both linear and high-performance PWM AC Power Sources. Pacific’s reputation as a market and technology leader is best demonstrated by its continuing investments in both research and development and world-wide customer support. With corporate owned offices in the United States, Germany, the United Kingdom, and China, local personalized support is always available. • Wide range of Output transformer options for world-wide testing.